The issue of domestic violence has been on the increase in Nigeria that it has called for serious attention from the relevant agencies in charge of such cases. Picking from the Nigerian entertainment angle, there have been few cases of such with the latest from the camp of actress, Mercy Aigbe and her hubby and many other alike. 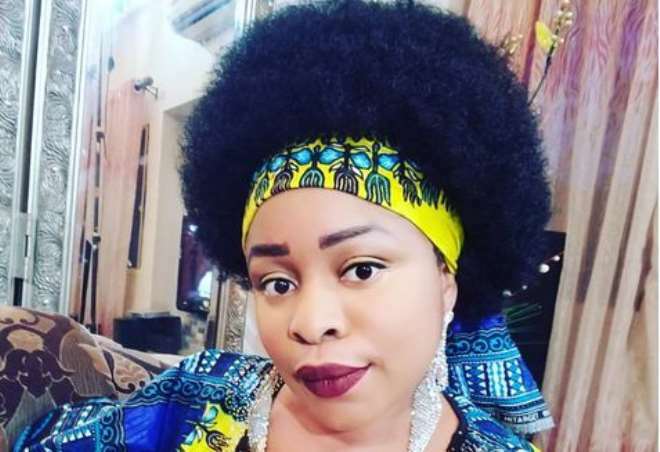 While everyone keep sharing their view on such issue, Nollywood actress, Ferrari Bongkem, has aired her view which she states that although she is single, she cannot stand any man that shouts. She disclosed that she had a friend who endured domestic violence and eventually died with five months pregnancy leaving behind a three year old daughter.